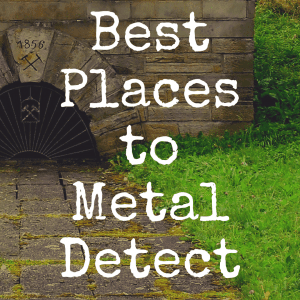 Get Metal Detector Reviews and Treasure Hunting Tips! What’s the Best Salt Water Beach Metal Detector? 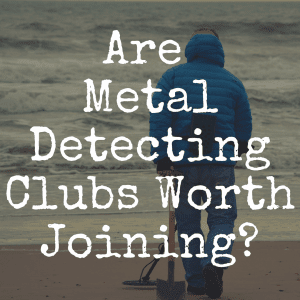 When you think about metal detecting, an image of walking along the beach searching for treasures might be the first thing that pops into your mind. But if you are considering purchasing a metal detector for the beach, there are actually special features you should be looking for as you select the best salt water metal detector that’s most suited for your very specific needs. Using a metal detector along the ocean sounds like so much fun, but you need to know that the salt water and “hot rocks” you find there can seriously mess with your signal. The salt water magnifies ground minerals that normally would not affect the signal you receive. If you are using a typical land metal detector, you could get tons of false signals. Imagine how frustrating it would be to start digging for your object, only to discover there isn’t anything there. If that happens a few times, you will be ready to pack it in and never search the beach again. Luckily, choosing a Very Low Frequency (VLF) metal detector that has a ground adjust control will allow you to set your detector so it does not send you false signals. When you purchase a metal detector, it should arrive with a preset ground adjust. This is great if you plan to search your backyard or the park down the street, but for the beach, you will not be happy with its performance. 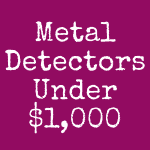 You can find VLF metal detectors for a very reasonable price. Another option is available if you want to spend a little more money. Pulse Induction metal detectors are programmed to ignore any effects ground minerals send. You won’t have to worry about making any adjustments. You can just pick up your detector and head to the beach. How Deep Will You Search? Another consideration in choosing the best metal detector for the beach is how deep you plan on going into the water. Most metal detectors that are used for salt water have a waterproof coil when you purchase it. If you plan on staying in water that is only a few inches deep, any of these will be fine. If you would like to search in water up to around ten feet deep, you need to purchase one that is completely water proof. Even these detectors are not made for diving or deep snorkeling. If that is your plan, you need to select a metal detector that has been pressurized. Now that you are ready to choose a metal detector for the beach, we have several options for you to check out. 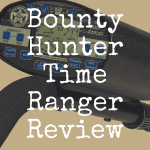 If you don’t want to spend a lot of money until you see how much you enjoy hunting, the Garrett Ace 350 or the Bounty Hunter Platinum would be good choices. The Ace 350 was designed for comfort and is one you will truly enjoy using for hours at a time. The Bounty Hunter Platinum costs about the same as the Ace 350 – around $300. It also has a ground balance adjustment, so you can easily use it at the beach or anywhere else. This model is very lightweight and is so simple a beginner can take it from the box and start searching their backyard immediately. The Bounty Hunter Platinum can be used in shallow water, but you will need to purchase a different model for dive searches. The best thing about the Bounty Hunter Platinum is not only is it a great detector for the beach, but it does an awesome job everywhere else, too. Deep coins are no problem and you can also search for jewelry and relics. 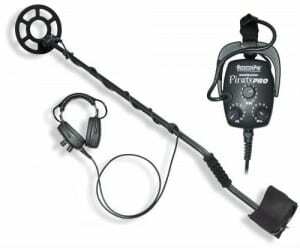 With a list price of around $375, the DetectorPro Headhunter PiratePro is a great salt water metal detector. It is a favorite of many hunters because it is water proof, can be used in the rain and is so simple that anyone in the family can turn it on and go hunting. This model includes three search modes – silent search, slow motion and discrimination. It is a great beach detector because it has been designed for accidental drops in shallow water. 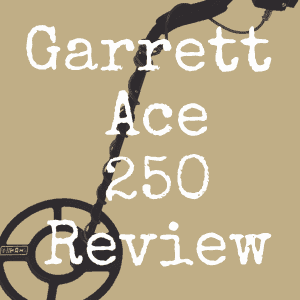 If you truly want the best of the best when it comes to metal detectors for salt water searching, you need to consider the Garrett ATX. Remember, though, that the best of the best comes with a hefty price tag of more than $2,000. This is a pulse induction detector and is the ultimate metal detector. It is perfect for all types of ground conditions, including salt water. It is not a detector that can be used in water more than ten feet deep, however. This model searches for all metals at once so you do not have to switch modes to find the objects you want. The Garrett ATX can even be used in industrial situations. Any detector you plan to use on a salt water beach or in shallow water needs to have special features. Any of these would make a wonderful addition to your collection of detectors or as the one you keep especially for salt water beach searches. Since many of them are reasonably priced, you will be able to find the best salt water metal detector for your needs. If this liked this article, we’d love for you to “like” our brand new Discover Detecting Facebook page! 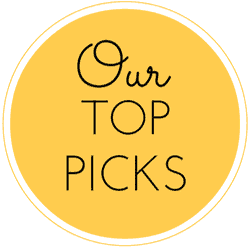 For more in-depth articles on the metal detecting hobby, be sure to bookmark Discover Detecting! 1) What’s the Best Kid’s Metal Detector? 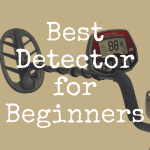 2) What’s the Best Metal Detector for a Beginner? 3) What’s the Best Waterproof Metal Detector? What’s the Best Metal Detector for a Beginner?